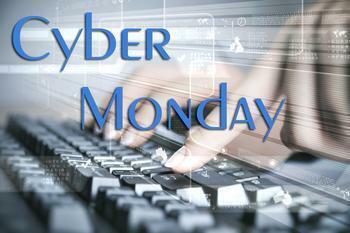 There will no doubt be some great deals online today, since it's Cyber Monday -- the biggest online shopping day of the year. But the big day has also brought out the scammers. One of the things you have to watch out for is a "copycat Website." You can easily stumble across one of those when you search for a particular item in a search engine. Although legitimate online retailers pop up on the screen, so do "cybersquatters," bogus businesses that steal or alter the Internet addresses of well-known companies to launch copycat sites. Their main purpose is to collect shoppers' credit card numbers. Others actually sell things, but their "incredible deals," if delivered at all, are usually poorly made knockoffs. When you shop online you really can't assume anything. When you click through to a Website, carefully read the domain name -- the Internet address -- that appears at the top of your browser. Beware of any site whose name has even the slightest change from a legitimate online retailer's -- extra words or letters, misspellings -- and anything but the usual .com or .org ending. Make sure that addresses of ordering pages always begin with "https://" instead of "http://." The "s" means it is secure. Pay attention to disclosures at the bottom of the page. Most legitimate online retailers have a "Contact Us" page with a phone number and physical address, and a "Terms and Conditions" link detailing return policies and such. Bogus Websites may lack these pages or have them but not tell you what you need to know. Avoid any Website that doesn't provide a physical address, which you can verify by looking up the company on the Internet, or a phone number. Scam sites often allow only for e-mail correspondence, which makes for better hiding in cyberspace. If a phone number is listed, call it to ensure it's not a fax machine or voicemail with no live operator -- two more red flags for a potential scam. Another tip-off is "scammer grammar." Although legitimate retailers may not moonlight for Webster's dictionary, their Websites tend to be absent of the frequent misspellings and grammatical errors of the Websites, ads and e-mail of scammers, who are often foreigners with poor command of English or fly-by-nights with little time to spell-check while trying to stay one step ahead of the law. If any merchant demands a wire transfer payment, you probably aren't dealing with a real merchant. Wiring funds is the quickest way to lose money, especially if it's sent overseas. Legitimate online retailers accept credit cards, which offer you more protection than debit transactions if you need to dispute payment. Beware of "act now" offers that tell you the seller is a soldier needing cash for possessions before deploying to a war zone or a recent divorcee wanting to unload her former husband's belongings. These tactics are often bait to empty your wallet. Most of the time the items don't even exist. Research the prices. Similar items typically fall into a general price range. If one being offered to you falls way below that range, you need to ask yourself why. The usual answer: Scammers use ridiculously low prices to lure consumers into a bogus bargain. Finally, be on guard at online auctions. Lost the winning bid on eBay or another auction Website? Don't be taken in by follow-up e-mails offering the same deal. Scammers often cruise online auction sites to pounce on losing bidders and direct them away from those secure buying environments.